We had a large garden surrounding my childhood home in a small town on the foothills of western ghats. 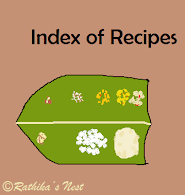 The soil (கரிசல் மண்) being very fertile, we managed to grow nearly 20 varieties of rose (ரோஜா), jasmine (மல்லிகை), few types of hibiscus (செம்பருத்தி), jungle flame (இட்லி பூ) in two colors, fire cracker flower (கனகாம்பரம்), and Philippine violet (டிசம்பர் பூ) in addition to several trees and a kitchen garden at the back yard. From the terrace all we could see of the town was lush green cover interposed with houses. On the contrary, in Chennai metro, aerial view offers an expanse of concrete jungle with occasional trees. Hence, it had been my long term desire to have at least a few flowering plants growing in my balcony. In spite of my best efforts, no plant flourished. 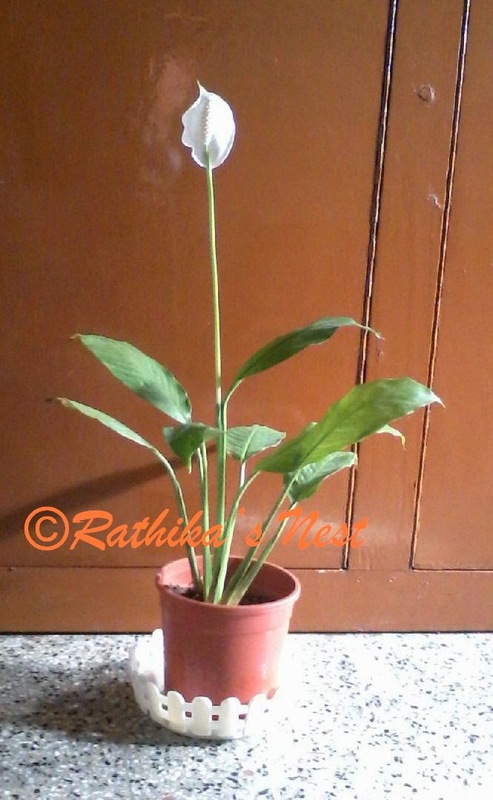 During my recent visit to Yelagiri hills, I picked up few plants from a nursery. I was promised that they were indoor flowering plants, that required minimal care and hardly any Sunlight! On reaching home, I placed them in my balcony with great satisfaction and started watering them once in two days as instructed. Days went by, but nothing happened. Our gardener scrutinized the plants and pronounced his expert verdict " Too much water... Amma, you water the plants only when the soil is dry..."
I changed my watering routine to once a week, and waited patiently for a fortnight. Still nothing happened. My maid shook her head desolately at the plants and said "Amma, they need Sunlight...." Hence, the plants were shifted to a corner where they were exposed to Sunlight for at least two hours in the morning. My days started with a close examination of the plant for signs of blossom. At last, after a month, a bud appeared in one of the plants. 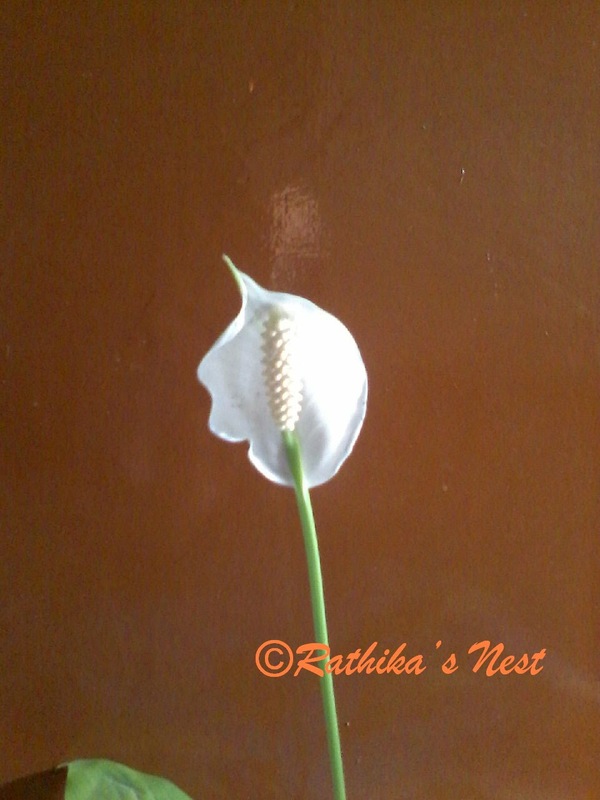 After an expectant delay of nearly a week, on a sunny morning I found the flower swaying in gentle breeze - it was a "white peace lily". Addendum: 16th May 2015 - Day lily plants have started blooming this summer. Lovely to watch new flowers every morning. Blooming season lasts for little over a month!